There are several venues for paintball in the North East, UK Paintball prides itself on offering the two premier venues in the area. 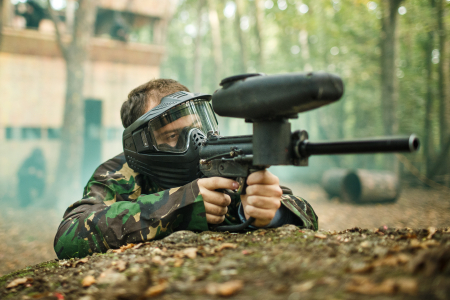 Our Newcastle and Durham venues have recently undergone a overhaul to give the highest quality of paintball facilities and equipment to match their unwavering customer care. These two great sites have many varied game zones from attack and defend to hostage rescue missions there is a paintball scenario for everybody. With the great transport links to these sites both by car or public there is no reason to look any further for paintballing in the North East of England. For further information on these paintball North East venues follow the links! Mount Pleasant Farm, Rowley, Durham, DH8 9HL. Black Heddon, Belsay, Tyne and Wear, Nearest Postcode: NE20 0JJ.